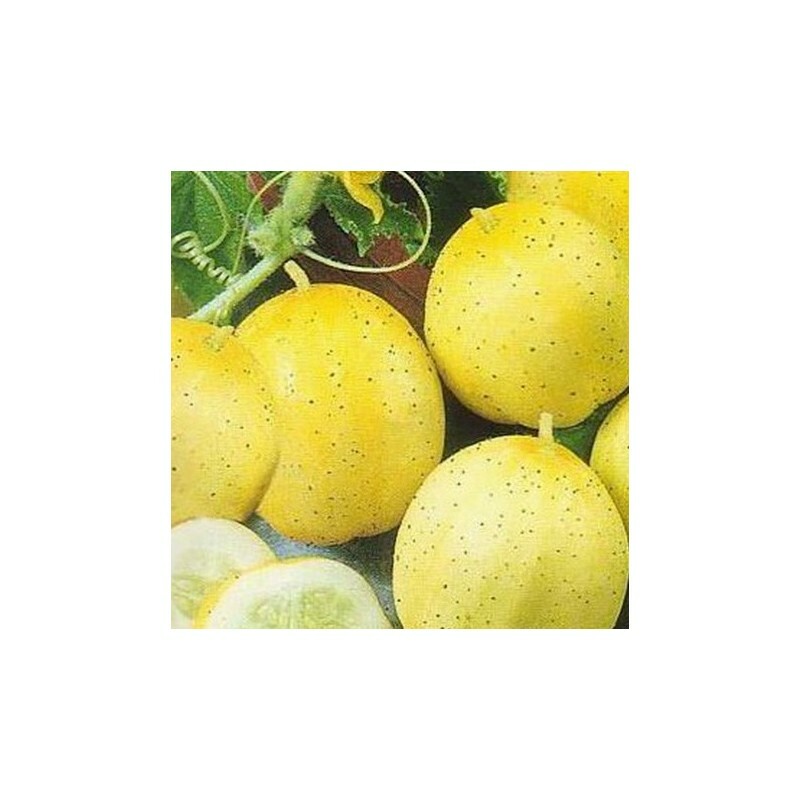 Cucumber Lemon has yellow, round fruits. Early variety, matures after about 60 days. The plant is resistant to rust and drought. Suitable for outside growing. Fresh cucumbers are one of summer’s great joys, especially when grown in your own backyardUnlike hardy vegetables like carrots and radishes whose seeds can tolerate some frosty evenings, cucumbers should be sown outside once the weather warms, around late May, and the temperature reaches 21-24 C.
In selecting seeds, the gardener must consider several criteria: Where they will be located (container or traditional garden) and how much room that will be allocated for them. 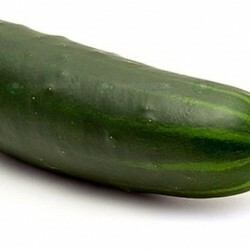 Cucumbers’ adaptability allows the gardener to harvest them throughout the summer. Either way, though, the location should have copious amounts of sun. Another question the gardener should pose when it comes to seed selection is what are your plans for the cucumbers upon harvest? Salads or pickles? Cucumbers are equally successful if started indoors a few weeks ahead of sowing or directly into the soil when the time is right. If you have sunny space indoors for your cucumbers, you can get your cucumber seeds started early. In this case, start the seeds in biodegradable pots made of pressed peat or cow manure. Fill the pots with potting soil approved for vegetables. Place the seed about an inch deep. Keep the pots moist. As the temperature warms, put the plants outside but bring them inside at night. Or, if the weather is unseasonably warm, keep them inside to protect them. This is called hardening off and will help your cucumbers adjust to outdoor conditions when you transplant them. If you still want cucumbers but don’t have the space, you can still successfully grow cucumber by waiting until the temperature reached 21-24 C, and frost is not a threat, and you can sow them directly in the ground or containers. 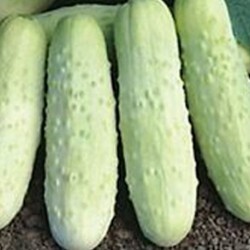 Traditionally, cucumbers are planted in hills a few inches high. For most varieties, hills should be about 1.22 m apart in rows 1.85 m apart. Bush variety cucumbers can be planted closer. In the hills, plant six or seven seeds 2.55 – 3.10 cm deep and 45 cm apart. If you are planting transplants, adhere to the same distances. 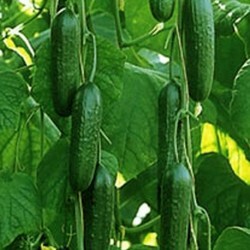 Cucumbers benefit from evenly moist soil and need frequent watering when the fruits are developing. Mulching will help retain moisture. If you plan on using trellises to save space, secure the trellis in the ground. Mound the soil to create a row next to the trellis. Set the seeds/transplants 45 cm apart. As the vines climb, secure them loosely. Allow one plant to form at each node. 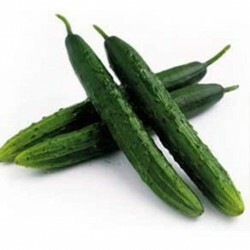 Harvest frequently since this will keep other cucumbers growing. Twist or cut the cucumber at the stem. Cucumbers will benefit from adding compost to the side of the hills. In 55-70 days you will have cucumbers ready to eat or pickle!